Hypnobabies is a method of childbirth education that works and is really effective for having a natural birth. 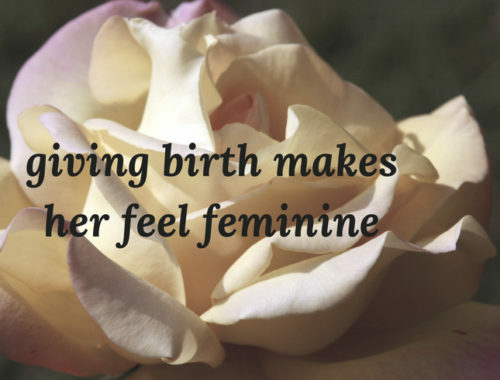 By going into deep relaxation, mothers can have an easier birth. Preparing to have a drug-free birth no matter what method you choose, is definitely a mindset. The Hypnobabies techniques with the mp3s enable positive thinking and effective coping and allows moms to actually enjoy labor and birth. Hypnobabies helps to prepare couples and also single moms for labor and birth. “The Hypnobabies Birth Guide CD was amazing. It seemed to be saying exactly what I needed to hear when I needed to hear it. Either during or right before my doctor broke my water, in the CD it said when your water releases you will feel a rush of anesthesia. It was perfect timing and it worked! After my water was broken the pressure waves were no longer painful. Whatever people, I am pushing, I don’t care if a doctor is here or not. I didn’t say this, but thought it. IT was ok to push, so I was pushing. I was a yeller grunter kind of pusher. It was so powerful. I really didn’t choose to do anything, it just happened. I would try to remember to breathe the baby out, but my body wouldn’t have that. But between pressure waves I would sometimes be breathing the baby down.” To read the rest of the story, go to Sheridan’s website. If you want to learn the hypnobabies techniques for yourself, click here. They also have a homestudy course which is perfect for busy women who just can’t get to a class or don’t have a hypnobabies instructor nearby.